This webinar highlighted emerging research across various studies on how involvement in youth organizing contributes to the social-emotional and academic development of young people in powerful ways, while also promoting their civic and community engagement, particularly for young people living in low-income communities and communities of color. This new research is beginning to indicate the engaging young people in organizing to address issues in their communities is in fact one of the most effective ways to support their holistic development. FCYO is creating a new fund to support young people organizing for safety and justice. This fund will focus on efforts that employ a racial justice lens and connect gun violence to other forms of systemic violence. It will look to connect young people across race and class to build unity and broader political power. 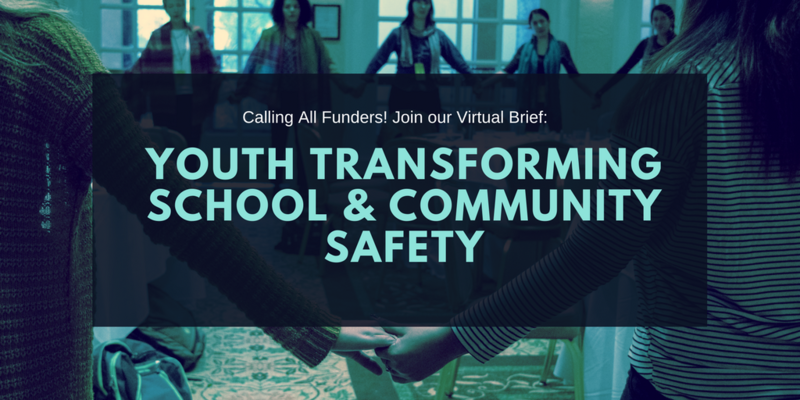 The Funders’ Collaborative on Youth Organizing has launched The Youth for Safety and Justice Fund, a rapid response fund that will provide $1000-$10,000-dollar mini grants to youth led organizations to support young people organizing for safety and justice. The Fund will focus on efforts that employ a racial justice lens and connect gun violence to other forms of systemic violence. We hope to support the connection of young people across race and class to build unity and broader political power. Across the country, youth organizers have scored important policy victories, such as advocating for greater access to college prep curricula and introducing restorative justice models to replace punitive school discipline policies. As the field of youth organizing expands, a growing body of research is illuminating our understanding of youth organizing and the myriad ways in which participation in organizing shapes the lives of young people. Emerging research shows that involvement in youth organizing contributes to the social-emotional and academic development of young people in powerful ways, while also promoting their civic and community engagement. Throughout the history of social movements in the U.S. and around the world, young people have played critical leadership roles. Over the past several decades, the youth organizing sector has grown in strength and impact. Yet most of our groups still struggle to achieve our ultimate aim - the Power to transform our communities. On March 15, 218, FCYO invited youth organizers and their allies to a virtual forum on to discuss key considerations for building meaningful power in the U.S. Over the past several years FCYO has analyzed how the youth organizing field approaches power building. We believe the central challenges facing youth organizers are reflective of those faced by organizers across the country. At the heart of those challenges is this critical question: how do we build the kind of power that transforms the conditions of everyday life for our people? On September 5, 2017, U.S. Attorney General Jeff Sessions, on behalf of the Trump Administration, announced an end to the Deferred Action for Childhood Arrivals (DACA) program. DACA protects 800,000 immigrant youth from deportation and gives them the freedom to seek higher education, to work and to live their lives. The decision puts immigrant youth and their families at tremendous risk. 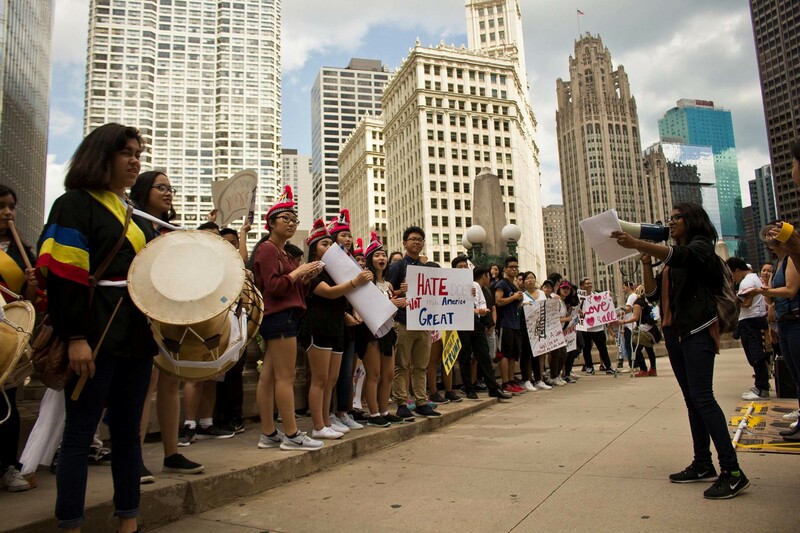 Across the country, immigrant young people and their allies have been organizing to demand policies that defend basic human rights, a social movement that has garnered significant political power and that has captured the attention of the American public. This is a critical moment for all communities to demonstrate solidarity and demand justice for immigrant youth and their families. Learn how your organization can be part of the movement to defend immigrant rights. Across the country, a growing number of states are legalizing marijuana and are collecting significant new tax revenues from the quickly growing and highly profitable marijuana industry. 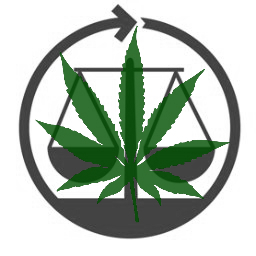 This webinar will explore how youth organizing groups can organize to influence marijuana policy and win new resources for justice reinvestment and for health and education supports for youth and young adults of color. The webinar will share examples from California of how organizing efforts are laying the groundwork for racial justice wins.